Argentina in Beijing? "Only a miracle," said Milinkovic. Currently in Turkey, M. Milinkovic an Argentinean opposite talks about his time in the national team of his country. An Argentine with Croatian blood and spirit of Brazil. Thus can be defined Marcos Milinkovic, a man of the modern world in volleyball. Born on December 22, 1971, he only discovered the sport as 17 years old. Despite the late start in volleyball, he became one of the biggest names in the country. With 2.03 m and 100kg, after four seasons in the domectic league M. Milinkovic moved to Italy. In the mid-90, he landed in Brazil, defending Cocamar, Chapecó and Olympikus. After that he returned to the number one of competitions for clubs on the planet, defending Treviso and Milan. Later on he returned to Brazil and played Superligas in Unisul and Cimed. Also passed by Greece and currently is playing in Turkey for Istanbul Buyuksehir Belediye. Marcos Milinkovic has collected national titles, European, pan-American medals. He was considered the best player in the World Championship 2002, in Argentina, and the Olympics in Sydney in 2000.By email, Milinkovic reminded to the PLANETA VOLLEYBALL some of the good times of his career, the moments of Argentinean volleyball and plans for the future. What is your experience to play in Turkey? The truth is that I am surprised by good level of the competition here. I think it is a country that can grow in terms of organization, because Turkey has many economic conditions, structural and sports. You already played in several countries. Which one was the best for you? It is difficult to choose one, because I had luck of playing for big teams, winning titles and make many friends in Brazil, Italy, Greece. In these three countries I felt very comfortable. Would you like to return to Brazil? I am old to go back to play in Brazil 🙂 When I come to Brazil, to this beautiful country, everybody treats me as if I were at home. How do you see the national team of Argentina now? 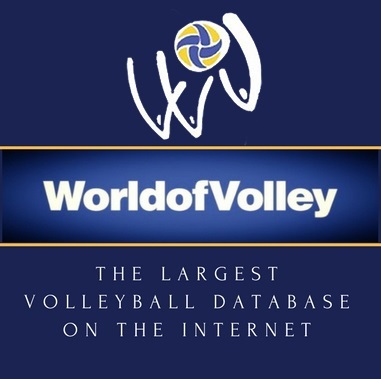 We are going very similar to a time lived with the generation that started to work after the World Championship in Brazil (1990), which took almost five years to stand between the big world of volleyball. Unfortunately again Argentina is not doing a good job with the young players, thinking that the last generation would be eternal. Now we are suffering. What the Pre-Olympic hopes in Japan? Our big chance was in January Olympic qualification where we were defeated by Venezuela. Do you make plans to play more one, two, three years? I wish to follow training until I can physically. I like to do that. Do you plan to be coach or manager after you retire? I am, little by little, conducting courses and talking with many coaches. Do you believe that Brazil is favorite for the Olympics in Beijing? Brazil has shown over the past six years that the team is ahead of all other national teams. Brazilian players know that this could be the end of a great generation of players and the best way to end a cycle is to be Olympic champion again, no? What are the best players in the world? It is difficult to choose just one player. I could say Dante, Giba, Kazyiski, Soto. And among setters it is also complicated … Ricardinho, Marcelinho, Grbic and Ball. It is a great honour to hear that. What makes me proud to have dressed so often the shirt of Argentina. 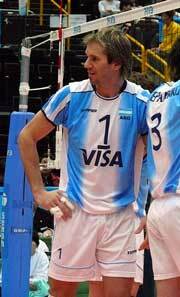 But I think there were many great players in the Argentinean volleyball. What was the best national team of Argentina in history? We had several great national team: one that won the bronze medal at the Seoul Olympics in 1988, which won the gold medal in the Pan American Games in Mar del Plata, 95; which won fourth place in the Olympics 2000 in Sydney. Thank you for having done that I lived with so many beautiful and unforgettable moments, despite the great rivalry that exists between our countries. Thank you for having offered me with such affection.